The Brooks Neuro is one of the very few Brooks shoes I’ve run in. I’ve only ever run the Cascadia 10 and Green Silence, and not many miles in either of those. I was very intrigued by the design concept when I saw them at Outdoor Retailer last year, especially the decoupled design that lets the heel and forefoot move independently. This design is really the shining point of the shoe. Read on to find out what else worked, or didn’t, with the Neuro. Fit is one area where I’ve always struggled with Brooks. Their shoes are generally too tapered in the toe box, and yet the midfoot and heel are loose. This is typically my least favorite combination in a last shape, and one I rarely have good luck with. The Neuro pretty much follows this mold, but it does fit a little lower volume in the midfoot than other Brooks (like the PureGrit). Cool techie look, but function suffers. Also notice looking top down that the shape is pretty much equal width from heel to toe…not my favorite, and not how a foot is shaped. I didn’t have significant problems with them on my runs, but I didn’t (and wouldn’t) take them out longer than a 1.5 hr run just from the forefoot being a little too tapered for long run comfort. The upper is a pretty unique construction with “hammock” mid-layer straps that actually run under the foot (see pic below). Overall, this is a pretty cool idea, but I found the placement of the front straps to be much too far forward. The one on the lateral side is actually in front of my pinky toe, which, as I’m sure you can guess, is not super comfortable. I cut the outer shell of thinking I could increase breathability, and lighten the shoe up a fair bit. Well turns out the booty is only attached at the toe and heel due to the hammock straps needing to freely move in order to tighten, so that project didn’t turn out. Can’t win ’em all! One other issue with the upper is that the outer cage is made of a pretty thick. heavy nylon-like material that is super hot…like GTX shoe hot. I was roasting in them after 30 mins in 35 degrees with no socks, and this doesn’t bode well for anything much hotter or longer in them. Notice how far forward that lateral strap is…actually in front of my pinky toe. Outer shell weights nearly an ounce just by itself! This is really where the Neuro shines. I applaud Brooks for stepping out and trying something pretty unique with a midsole (and outsole) that decouples completely in front of the heel. While this is not entirely new, since most flexible, minimal shoes have done this for years, the new component is that the rest of the shoe still has some structure from the midfoot forward. The net effect of this is that the shoe runs and transitions as naturally as a minimal shoe, but with some of the structure and propulsion of a semi-performance trainer. The execution here needs some fine tuning, but the concept is valid and it works. Specifically, the Neuro needs to be lightened up, and the midsole shape could be much simpler and more clean cut than the high concept that they try to pull off (mainly for looks as far as I can tell). The Brooks DNA midsole isn’t bad, but they just got a little carried away with the bubble shaped designs, and waste a lot of weight in the upper, midsole and outsole. 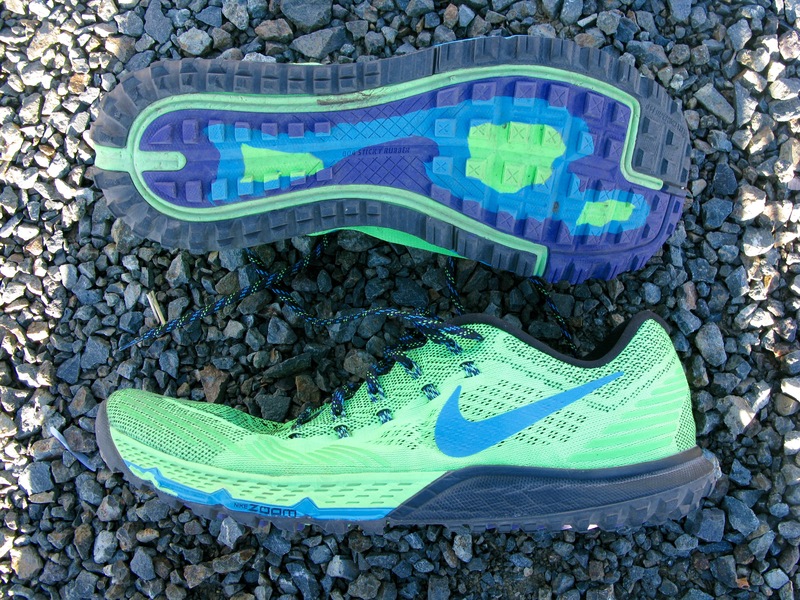 Way too much design freedom on the midsole…those bubble shapes do not help the ride and are simply aesthetic. Unique flex point that works. Turns out the marketing hype was actually the best feature of the shoe, which is pretty rare. 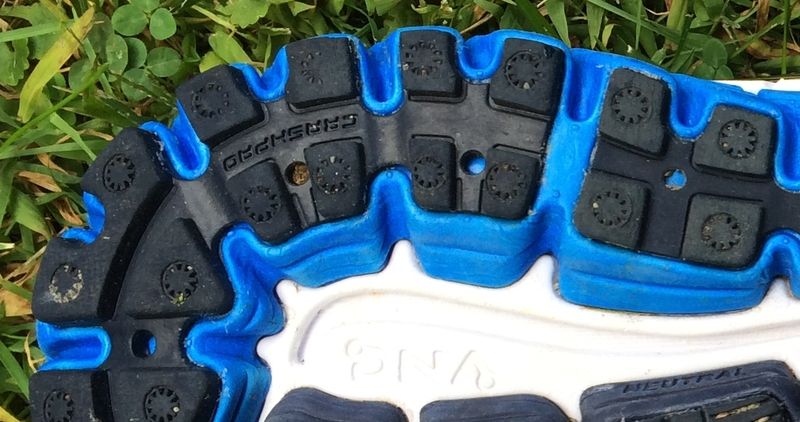 The outsole on the Neuro is adequate, and they do generally place rubber in the right locations. However, like the midsole, too much of the design is given over to aesthetics at the cost of weight and function. They could have gotten away with half of the rubber, and still functionally achieved what they were trying to do. I don’t think the encapsulated EVA approach used on some of the pods adds much to the ride, and I also am not crazy about the amount of exposed strobel under the shoe. If you step on anything sharp in the midfoot, it’s not going to be good. 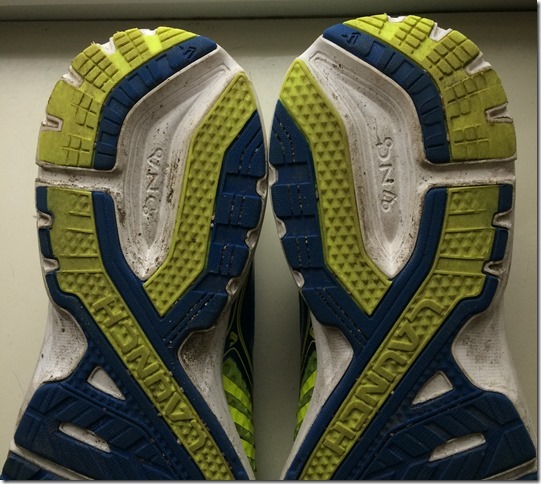 Outsole is also a victim of the design. Way more rubber than necessary on certain spots, and why choose the shapes? Overall, the Neuro is a really cool concept, and one that I hope Brooks tries to refine. I think if they make a shoe with the gearing mechanism (decoupled midfoot) of the Neuro, but more of the design approach of the forthcoming Hyperion or Asteria to keep it more streamlined, they could deliver a really unique running experience where you get a very natural and minimal feel with decent protection and propulsion. Their forthcoming Mazama trail shoe uses a similar gearing mechanism, but is much more streamlined (its lighter than the Neuro…and a trail shoe). 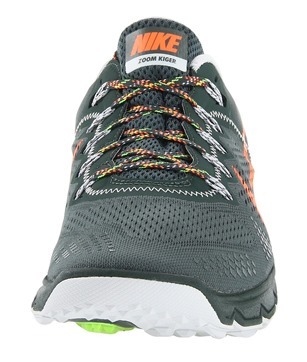 If Brooks can refine the concept (and find a more foot shaped last), I’d be very interested. The Brooks Neuro is available for purchase from Running Warehouse. Perfect! I have been trying to find a good review on these. Just ordered a pair 🙂 Thank you! Terrible shoe. Don’t know what they were thinking designing this. Didn’t sell well for them. Though the second iteration, coming out next year, looks to be much improved. They scrapped all the “pods”. Yeah, I’m puzzled about the thinking behind the Neuro as well. Seems gimmicky in a market that has moved a bit away from gimmicky shoes. And that upper is a bit of a mess as well.